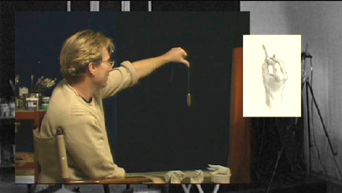 Knowing how to draw hands is indispensable to portrait and figure artists. 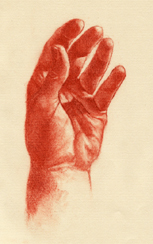 Whether your work is high realism or more gesturally expressive you know how important it is to render hands that work. No more hidden hands or banana fingers! This is a no nonsense, step-by-step structural approach to understanding the hand. Drawing Hands presents four lessons on drawing the hand: Beginning with the anatomy of the hand you then proceed to a structural line drawing and then progress to rendering and constructing tone in graphite pencil;you will then conclude the workshop with a complete lesson in drawing the hand in sanguine conte from beginning to end. Get Drawing Hands! This 2 hour instant download video workshop is only $27! Also included is my Anatomy of the Hand PDF companion work-book that supplements the anatomy lessons. 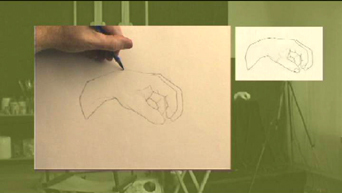 Clear and precise step-by-step instruction on how to construct the hand. You have the exact same viewpoint as me. Learn how to align the fingers, knuckles and wrist into a cohesive whole by plumbing and how to render the hand in graphite pencil with a sculptural sensibility. 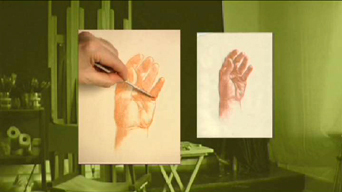 The palmar aspect presents the biggest challenge in drawing believable hands. 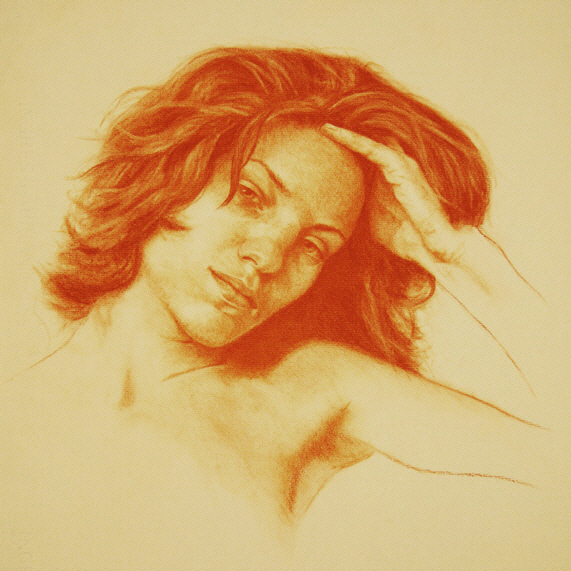 Learn how to construct and fully render in sanguine conte. 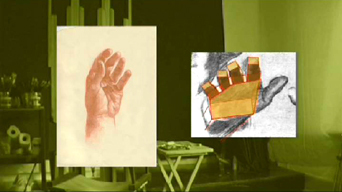 The underlying concepts of simplified form are critical to your understanding the foreshortened hand.